Intel has released it 8th generation processes late September last Year for both Laptop and Desktop. Intel 8th generation processors are also known as “Coffee Lake” which is based on 14 nm technology. Now the question is “What is 14 nm Technology”? Intel 14 nm Technology is based on 14 nm transistors, That improve performance and reduce leakage power. It supports a wide range of products from mobile devices to servers. Intel 14 nm technology is used to manufacture a wide range of high-performance for low-power products including servers, personal computing devices, and products for the Internet of Things. The first systems based on the Intel Core™ M processor were made available on shelves for the holiday selling season followed by broader OEM availability in the first half of 2015. Using 2nd generation 3D tri-gate transistors, the 14 nm technology delivers industry-leading performance, power, density, and cost per transistor, and will be used to manufacture a wide range of products, from high performance to low power. Intel 14 nm technology provides good dimensional scaling from 22 nm. The transistor fins are taller, thinner, and more closely spaced for improved density and lower capacitance. Improved transistors require fewer fins, further improving density, and the SRAM cell size is almost half the area of that at 22 nm. It will boost up the graphics performance, Gaming performance and multitasking to the Next Level. Whether you’re a gamer, a business user, or just a casual user, we have curated a list of the best laptops that you can buy. In case you are wondering how the laptops mentioned in our list are the best? Here is our Answer, The factors that we have considered to determine the best laptops are Hardware, Performance and the Price of the laptops. Lenovo Ideapad 330 (81DE00H5IN) is one of the best and least expensive laptops under this category. 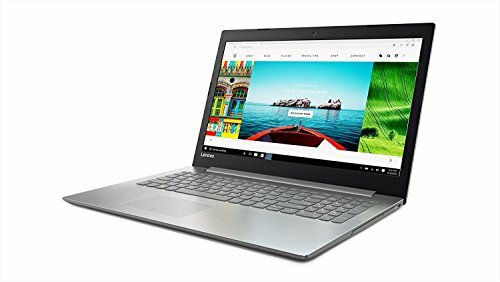 If you are looking to buy a laptop and your budget is around Rs 33,000, Lenovo Ideapad 330 (81DE00H5IN) would be the best choice. It is powered by Intel core i3 8th generation (8130u) processor which is clocked at 2.20 GHz and It has 4GB of DDR4 RAM, 1Tb of eSATA Hard Drive to manage multi-tasking. It comes with Windows 10 Home pre-installed and it also has15.6-inch Full HD LED IPS display with a screen resolution of 1920 x 1080 pixels for good multimedia experience. The Lenovo Ideapad 330 comes with inbuilt Intel HD Graphics card which can easily handle all the basic graphical function. However, a dedicated GPU would have made it a perfect option to go for. 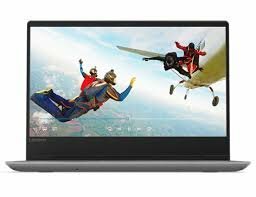 In terms of connectivity, Lenovo Ideapad 330 (81DE00H5IN) offers a wide range of connectivity such as WiFi, Bluetooth 4.1, LAN, HDMI port, USB 3.0, USB 2.0, VGA port, 3.5 mm Headphone jack…etc. Lenovo Ideapad 330 (81DE00WRIN) would be the best choice if you are looking for a laptop which has a dedicated Graphics card. This laptop is almost similar to the above Lenovo Ideapad 330 (81DE00H5IN) laptop. The only difference between the two laptops is, It has Dedicated 2GB AMD Radeon 530 (GDDR5) Graphics card. Other then graphics card everything is almost the same and the price of the laptop is around Rs 36,000. Asus Vivobook X510UA-EJ927T is an entry-level Vivobook 15 series laptop from Asus. It the perfect combination of beauty and performance. VivoBook 15 is a Windows 10 laptop powered by the latest Generation Intel Core i3 8th generation processor with 4GB DDR4 RAM and 1TB hard disk. The clock speed of the laptop is 2.20 GHz with turbo boost up to 3.40 GHz. Generally, we don’t see turbo boost technology in core i3 processors, but VivoBook has it. It has 15.6 inches Full HD LED display and weight of the laptop is just 1.7 kg. Asus Vivobook X510UA-EJ927T is a very compact and lightweight laptop like an ultrabook. It has NanoEdge display, fitting a 15.6 inch Full HD display into a frame size that’s typical of a 14-inch laptop. 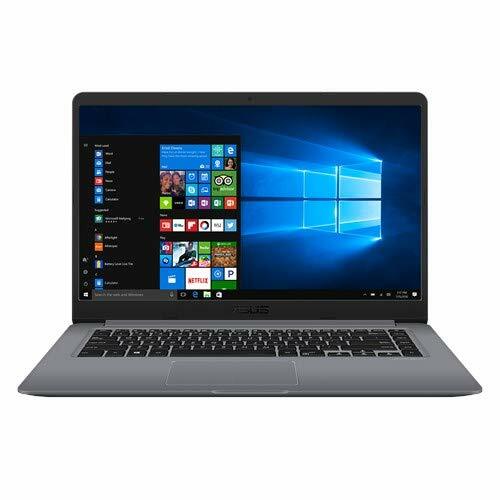 In terms of connectivity, ASUS Vivobook X510UA-EJ927T has dual-band 2×2 802.11b/g/n* Wi-Fi for superfast internet connections, A USB 3.1 port to transfer high speeds up to 5Gbps, A USB Type -C port, USB 2.0 port, Bluetooth 4.1..etc. If you are looking for Compact, light-weight, and powerful laptop, Asus Vivobook X510UA-EJ927T would be the best choice if your budget is around Rs 38,000. One more model you can consider in VivoBook 15 series is ASUS VivoBook 15 X507UA-EJ456T. It is powered by the Intel Core i5 8th generation processor with 8GB DDR4 RAM and 1TB hard disk. It also has Finger Print Reader. Other then that everything is same including graphics card. And it will cost you around Rs 43,000. Dell Inspiron 5570 is one of the best laptop available in the market at a cheaper price. It powered by Intel i5 8th generation processor which is clocked at 2.30 GHz and It has 8GB of DDR4 RAM and 1Tb of eSATA Hard Drive. Dell Inspiron 5570 has 2GB Intel UHD graphics 620 to boost the overall performance. However, It has all the power to run a heavy graphics Games and it also has 15.6 inches Full Hd Display and it comes with Windows 10. However, the weight of this laptop is 2.12 kg which is quite good considering other laptops at this price range. 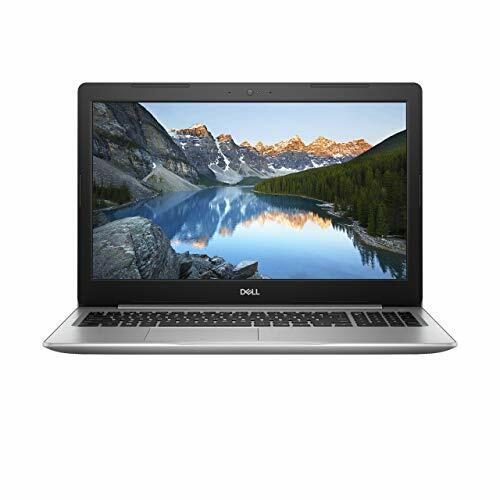 Dell Inspiron 5570 8th Generation | Intel Core I5 8250U Processor | 1 TB Hard Drive/DVDRW | 8GB DDR4 2400MHz RAM 802.11 AC – Wi-Fi | USB 3.0 | C-Port | Back Light Key Board 15.6″ (1920 X 1080) Backlit Display | Precision Keypad |2GB Intel UHD 620 Graphics Card | Windows 10 OS. The Asus S510UN-BQ122T laptop is a VivoBook S15 series laptop from ASUS gives the perfect combination of beauty and performance. With its slim NanoEdge bezel, brushed-metal finish, the latest Core i5 Intel 8th generation processor(i5-8250U) with 8GB RAM, and 2GB NVIDIA GeForce MX150 graphics, VivoBook S15 is designed for today’s fast-paced urban lifestyle. It has 15.6” Full HD display that typically fits into 14-inch laptop frame. This is possible due to the ultra-narrow 7.8mm NanoEdge bezel that gives it an incredible 80% screen-to-body ratio. The display also includes 178° wide-view technology to ensure that colors and contrast remain vivid and bold, even when viewed at sharp angles. It has a Fingerprint reader which supports Windows Hello. The Weight of this laptop is 1.7 kg and it is one of the slimmest laptop available on the market. Two more model is available with Different Configurations. 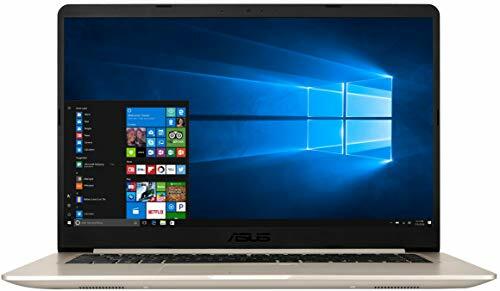 ASUS VIVOBOOK 15 S510UN-BQ069T 15.6-inch Laptop (Intel 8th generation Core i7-8550U/8GB/1TB + 256GB SSD /Windows 10/2GB Graphics). 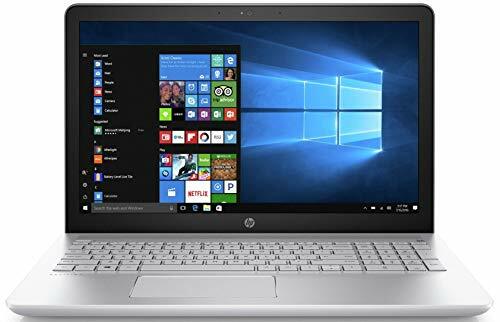 HP Pavilion 15-CC102TX 2017 is one of the cheapest laptops from HP is available in the market Packed with Core i5 Intel 8th generation Processer. This laptop is a powerhouse, giving you the freedom to go all day worry free. With Fast Boot up options, this processor can achieve up to a 44-percent improvement over its predecessor. This Device has 8GB DDR4 RAM and 1TB 5400 rpm Serial ATA Hard Drive and 2GB Nvidia GeForce 940MX Graphics, Which is high performing graphics for mid-range laptops. The screen size of this laptop is 15.6- inch, Which Is Full HD screen and the weight of the laptop is 2.12kg. If you are for a Mid-range Gaming laptop, This could be the best option for you. The company claims up to 10 hours and 25 minutes of battery life and a 90 percent charge in 90 minutes, stay powered all day with charge to spare. Take on whatever life brings you with enough power left over to enjoy some well-earned free time. Easily take this thin and light PC from room to room or on the road. When your PC goes wherever you go, staying productive and entertained has never been easier. Dell has recently added this model to its lineup. Dell Inspiron 5379 which is a 13.3-inch 2-in-1 notebook that can be found under the name Dell 13 5000 2-in-1. The 13.3-inch IPS panel will have either HD (1366 x 768p) or Full HD (1920 x 1080p) resolution and optional pen support. The Inspiron 5379 will be powered by an Intel 8th generation Core i5 CPU with 8GB DDR4 RAM and 1TB HDD. There will be no option for a dedicated graphics card, the Inspiron 5379 will instead rely on the rebranded integrated UHD Graphics 620. The Inspiron 5379 will be configurable with up to 16GB of 2400MHz DDR4 memory running in dual-channel mode. The notebook will weigh 1.62 kg (3.6 lbs) including the 3-cell 42Wh battery unit. The Inspiron 5379 will feature a 1MP camera that can record 720p video and an optional infrared camera with VGA (640 x 480) resolution for face recognition. Also read: Best laptop Under Rs 35,000 in India. 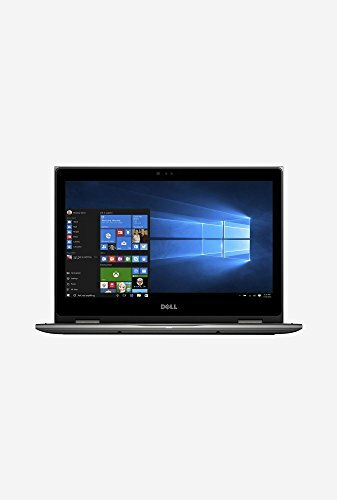 I’hv tried my best to list out the best intel 8th generation laptops. If you think any of the laptops on the list is not the best, You can suggest your own list in the comments below. Do we have any other option in dell?? Thanks, i need good laptop for movies n general surfing etc home use letter drafting, photo editing ex under 50-55 k.